Come and take a walk around our interesting and picturesque gardens this summer and see what you can find! From our walled garden, to grand herbaceous borders, sweeping lawns and tree-lined walkways, our gardens are a fabulous year-round experience for anyone who comes to visit. Set in 17 acres of stunning Yorkshire countryside and fronted by the River Ouse, beautiful and picturesque views can be seen from all areas of the garden. The parkland offers opportunities to explore riverside walks, ancient trees and discover hidden wildlife. For the more adventurous hiker or cyclist, we’re on the Trans-Pennine trail running from Hornsea to Southport. All of our reception rooms inside the Hall are licensed for weddings, but why not complement this with an outdoor wedding? With acres of beautiful grounds and gardens you can guarantee a unique celebration. We listen to what you want, whether having it in a serene woodland setting or under a canopy of blossom trees, letting your creative input flourish, our team then make it happen! An outdoor wedding at Saltmarshe is truly a wedding to remember. 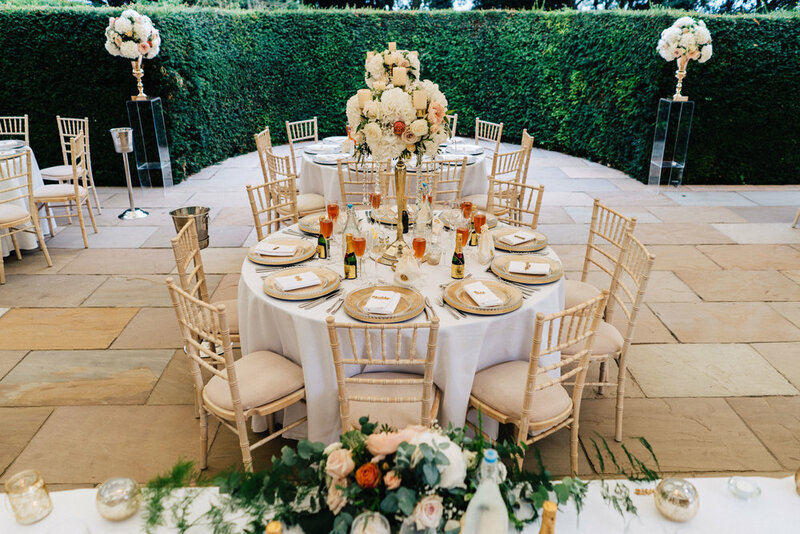 We don’t just host weddings in our grounds and gardens, to utilise it’s beauty as much as we can in these Summer months, we host an array of exciting and diverse events for anyone and everyone to join us and enjoy. To keep updated on what there is to offer, join our mailing list by enquiring here! Our annual garden open day is being held this Sunday (3rd of June - see events for details); with our gardeners on standby to give tours and offer information regarding the multitude of life we have within the vicinity. This year, we have a new addition to our gardens that you might find quite interesting – carnivorous plants! We thought we’d shed some light on a couple that we found the most weird and wonderful, let us know what you think, or even come and see them yourself! There is only one species of this fascinating plant, naturally found along mountain streamsides of North California and Oregon. Flies are attracted to nectar on the forked 'tongue' guiding them into the lobster pot style opening into the hood. Light enters the hood through the translucent windows and the fly becomes confused and cannot find the exit. The spiral trap has rows of downward pointing hairs making the descent one way. We’ve had to be very specific in where we’ve located these in our gardens due to most of them liking a bright, cool position away from hot summer temperatures and central heating in the winter. They tend to thrive outside in a sheltered position, so we have a few places in mind! We love these… Venus flytraps are carnivorous plants native to a small region of wetlands in America. They have however been introduced into other areas of the world (soon to be including Saltmarshe Hall!) and are really popular house plants too. The flytrap snaps shut and imprisons its prey when triggered by a time and touch sensitive mechanism – interesting eh?! Once the prey has been digested, the trap re-opens ready for another victim. Each individual trap on the Venus flytrap can only operate three or four times, after which it photosynthesizes like a normal leaf or dies back. The Saltmarshe gardeners are safe… They only feed on a diet of flies and small bugs. Sundews are carnivorous plants with an ingenious way to catch their prey. Sundew plants have sticky pads that trap insects. The plants are also attractive, often brightly coloured rosettes. Growing sundews is common in terrariums or other warm, moist areas that mimic their natural bog habitat, in which we have adapted an area specifically for them in our gardens. So there we are, we hope to see you for our open garden day this Sunday, if not – get in touch with us for when the next one is! Welcome to the Saltmarshe Blog! We've launched the Saltmarshe Hall Journal! With the seasons changing, and brighter days ahead for the Hall, we’ve decided to move with the weather and update our online presence a little bit. - And additional snippets of information we think you might enjoy. This blog is not only for Saltmarshe Hall, but is for all of our enthusiastic brides we've met, customers we've encountered, clients we love, grooms we've helped and businesses we've accommodated. If you landed here from the newsletter, Saltmarshe would like to thank you, and ask that you share the blog. From today, all of Saltmarshe Hall’s news, updates, events and social media posts are going to be shared here, in the journal along with any important information regarding Saltmarshe Hall! For inquiries about our rooms and accomodation, please use the 'Learn More' button below. For information regarding our wedding events and corporate room hire, please call Kate on 01430 434920.